Hello! 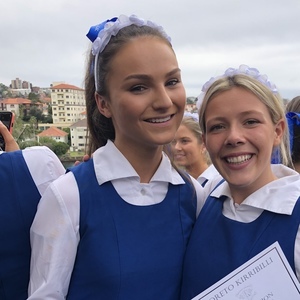 My name is Lillie and I have recently graduated from Loreto Kirribilli. I am currently looking for jobs babysitting, nannying or home tutoring! I am great with kids and will prove an excellent role model. I have been babysitting for around 5 years. I regularly look after my 2 younger siblings and have babysat for family friends and many other clients. I am comfortable babysitting children ages of all ages. I can cook, help with homework and I am always up for some games. I have been tutoring siblings and neighbours for many years. My love of learning is replicated by my students as I am young enough to explain concepts on an understandable level, whilst still engaging with the complexities and issues of whatever is being discussed.